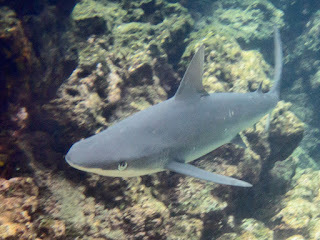 This morning I got to see a shark close up and two manta rays swimming way down deep below me. The shark was, of course, Junior; who has been around for a few months now, and seems much shyer than in the past. 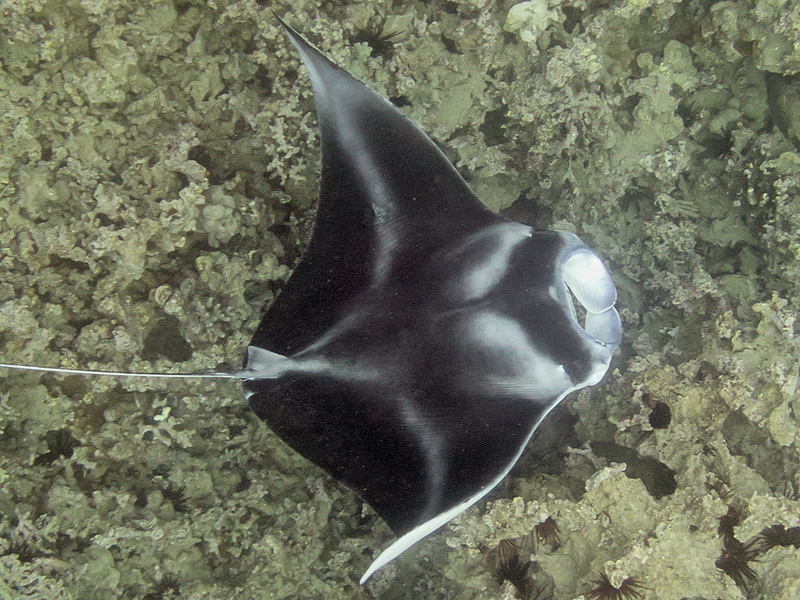 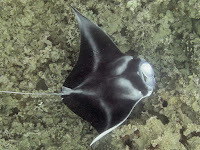 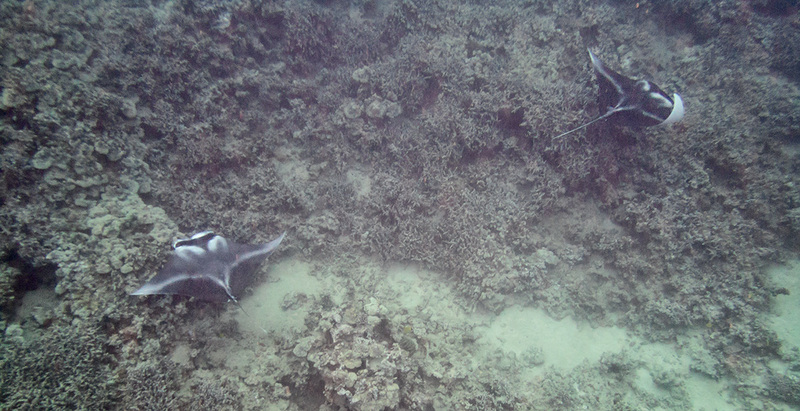 The mantas were too busy feeding to even notice me.